There are many purposes a balcony can serve you. 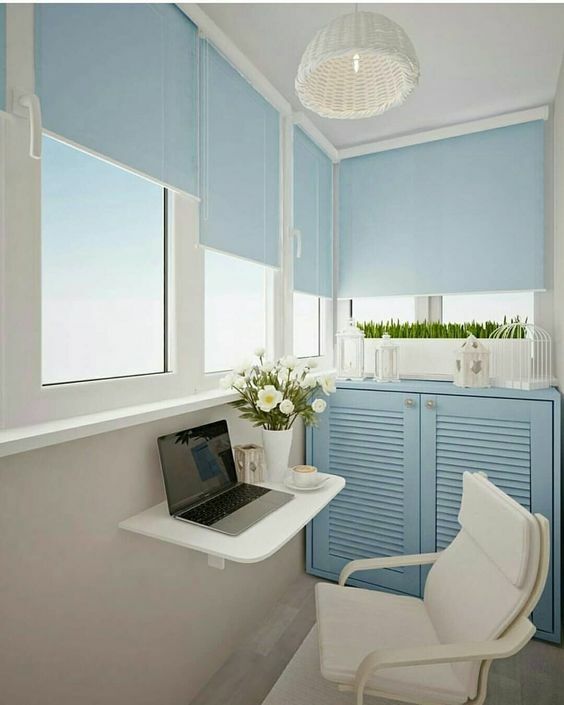 One of the useful and interesting purposes is using balcony as a study, especially a closed balcony with large window glass. 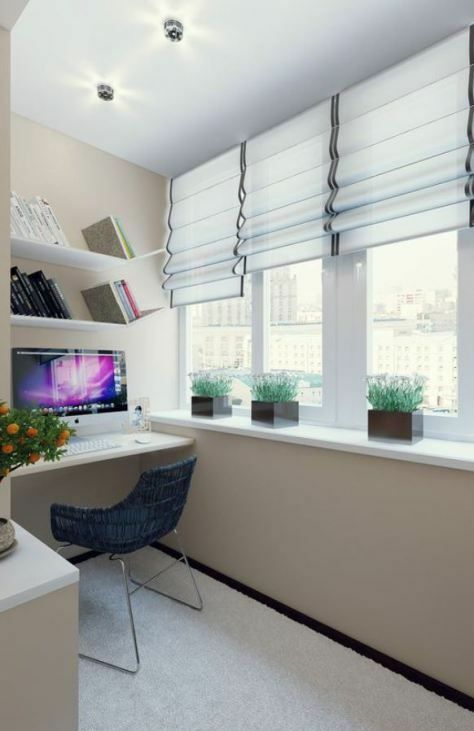 With large glass, the light will be maximum and the outside view that can be seen through will give more fun and exciting vibe for studying or working, even if the balcony is small. 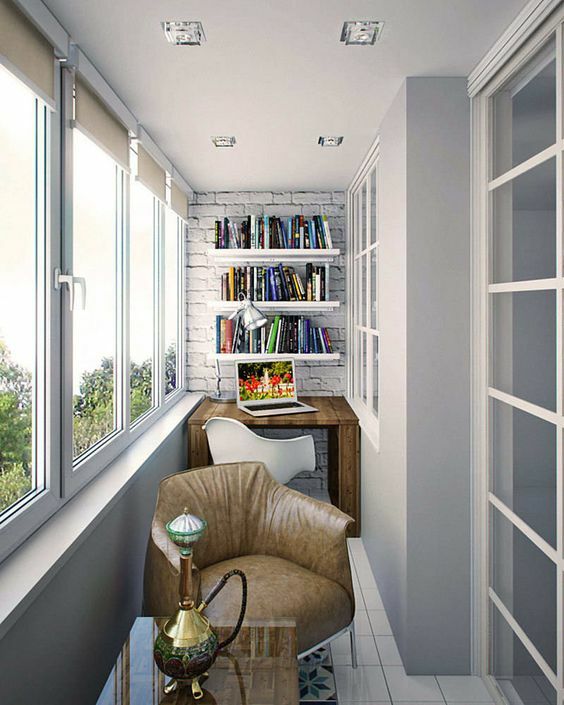 Here below are some ideas on a pretty study on the small balcony. 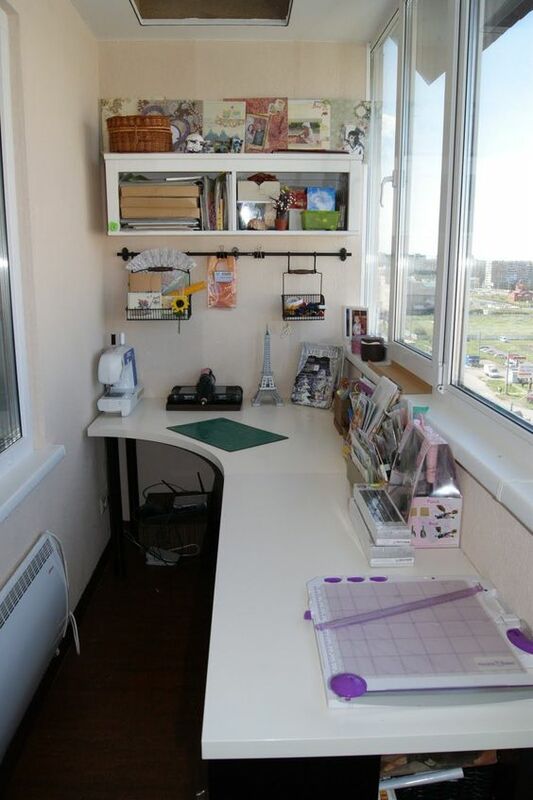 In making a temporary study area, a nice small floating table is sufficient. 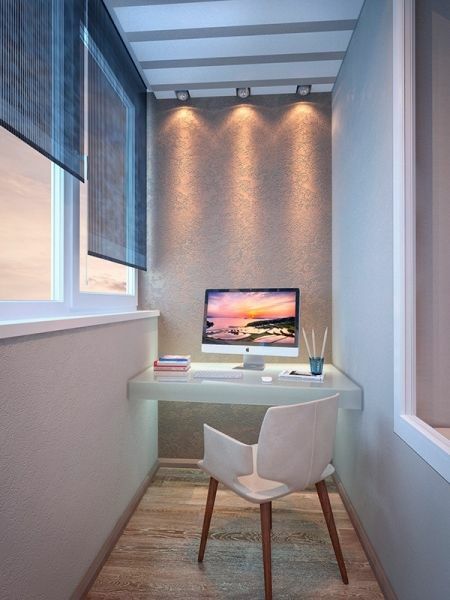 Add a comfortable chair that will make your working and studying time comfortable, like seen in this one here. To make the area feels more pretty and fun, light soft blue is added to the balcony as a cabinet in the corner and window shade. Similar to the previous one, this one too has a floating table for working. Placed on between the narrow wall, this floating table is supported by the wall. 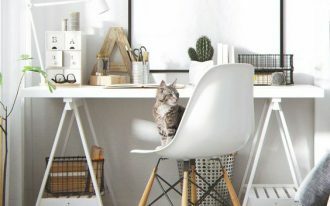 With a modern chair, the vibe os simplicity is well displayed. 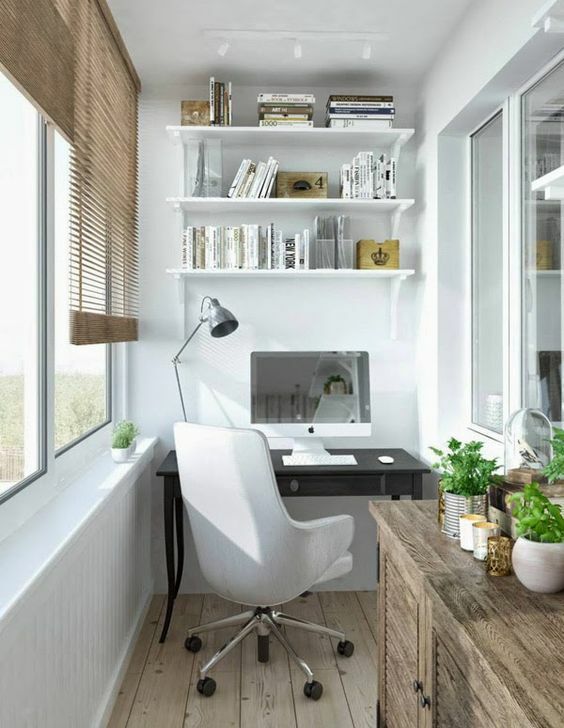 For those who are sure that their balcony should be a study area, a more permanent necessities will start to be installed, like shelves and one purposed furniture, like office table or chair. 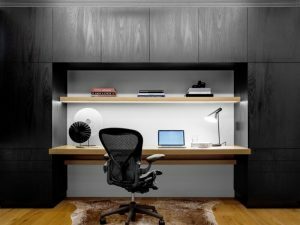 In this one, floating shelves on the wall is a great accessories and necessities for a more permanent office, just like the wooden office chair. It’s simple, unique, and only for this working purpose. While decorating the balcony to make it comfortable to study in, a nice touch will make it more fun and make the work less stressful. 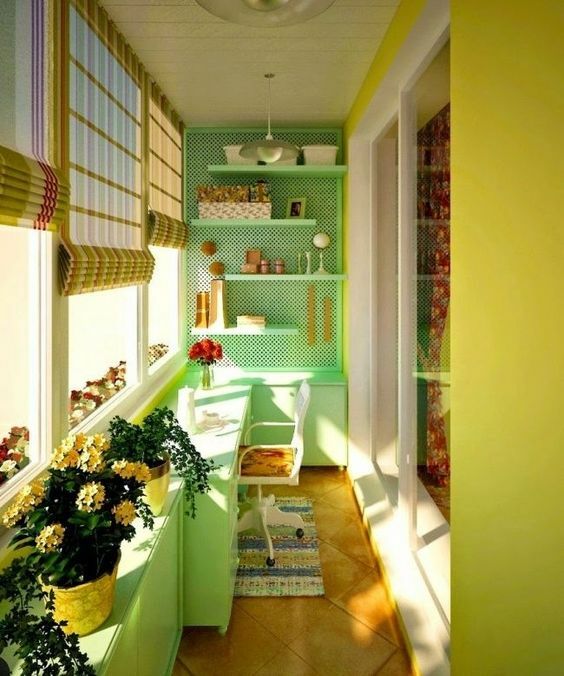 Like in this one here, a nice curve on the roman shade and green pots make the room less formal. The floating shelves with unique angle are interesting to see too. 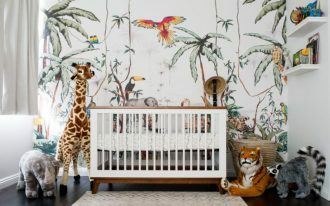 Wood is an amazing material to decorate the room, from the slightest to the fullest. And that’s what this one room is doing. 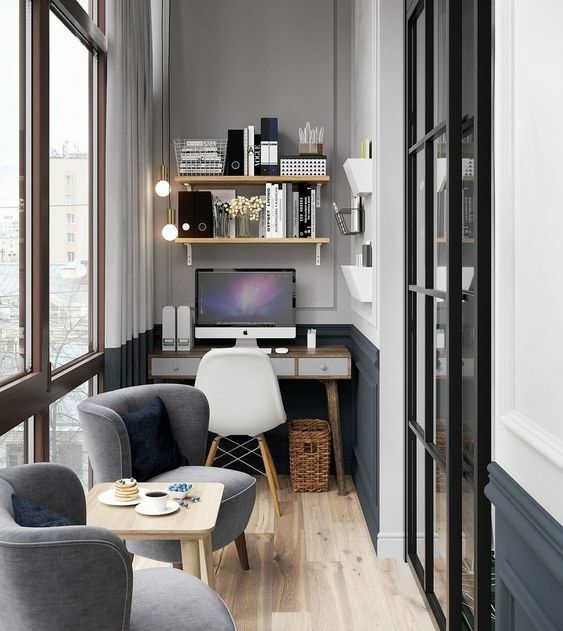 Covering the wall in the corner and continue to the ceiling, this room depicts an interesting use of wood in the wall, window, table and floating shelves. 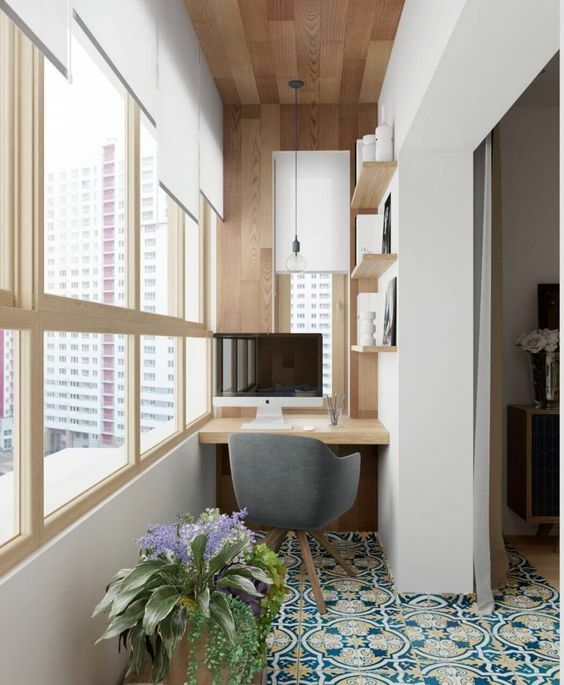 The patterned tiles make the room even more interesting. 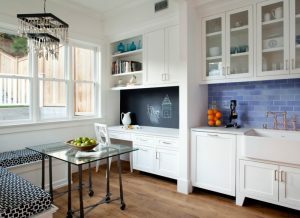 A more permanent look is seen too in this one with its floating shelves, table with drawer, office chair, and even wooden cabinet. The interesting wooden stick shade makes the room feels more relaxing. For those who have a lot of paper and love to have larger work space on the table, this long corner table is a great choice. Placed along the window, you can always see the outside easily. 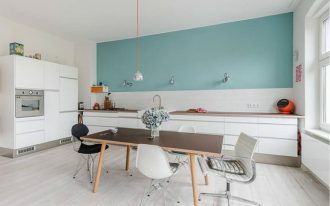 While the previous ones are more in neutral look, this one here depicts more fun vibe with lime green color on the accent wall with floating shelves, table, and cabinets. The wall is in yellow color too. This fresh look is accompanied with sticks shade on the window and wooden floor that humble the look. Sometimes working and studying can make your neck stiff. 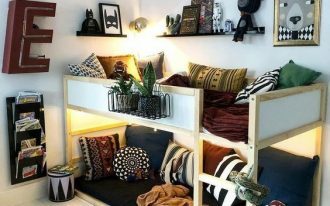 And if you want to get some rest in the same room, a small balcony can accommodate two functions in one, like this one here. 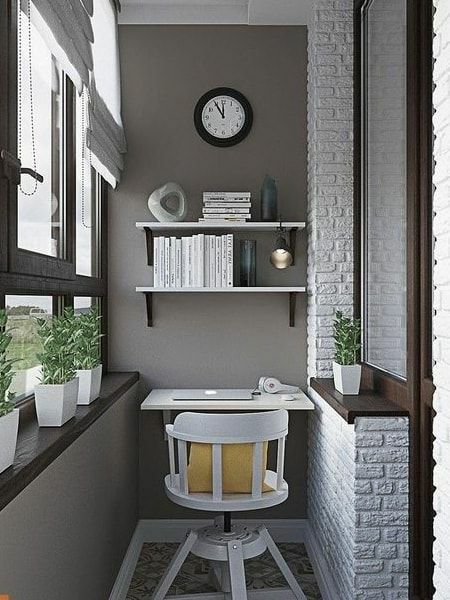 The corner is for studying while also adding a comfortable leather chair to relax. Similar to the previous one, this one too offers a coffee break time. With small fluffy chairs and coffee table, it is perfect to some cookies after a serious screen time. Relieving the Kitchen From the Upper Cabinets?